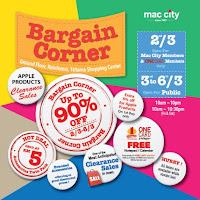 Browse » Home » Phone Electronics Computer » Mac City Bargain Corner, Up to 90% Off + Apple Products Clearance Sales! 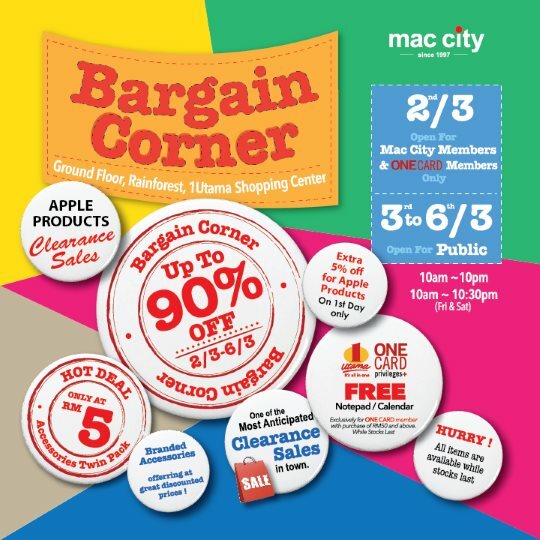 Mac City Bargain Corner, Up to 90% Off + Apple Products Clearance Sales! APPLE products clearance sale! One of the Most Anticipated Clearance Sales in town! Hot deal (accessories twin pack) at RM5 only! Branded accessories offered at great discounted prices!